Let’s make pretty pictures that celebrate our strange and magical bodies. 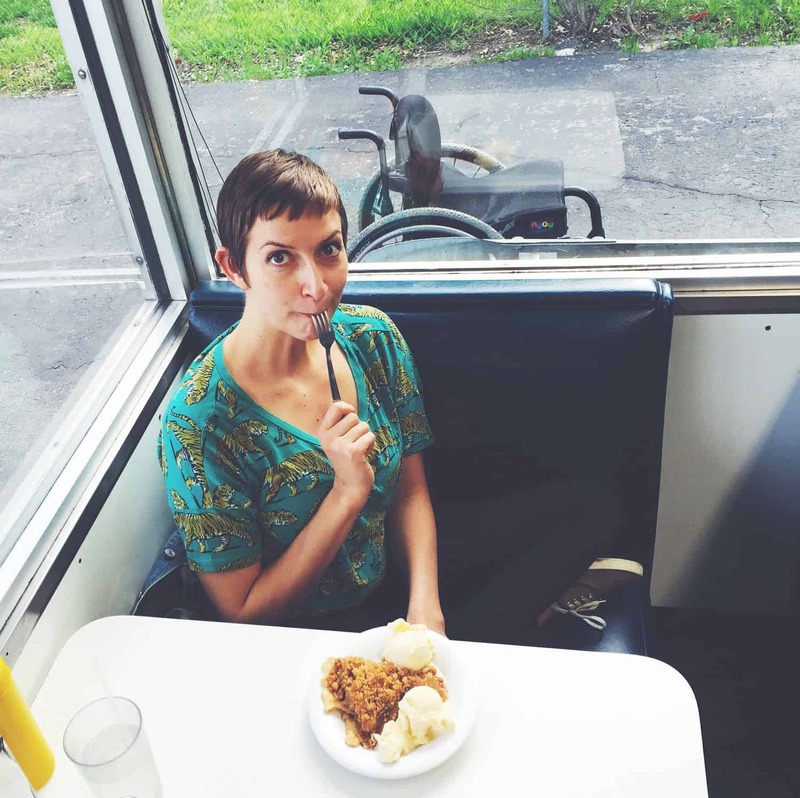 With this sliver of poetry adorning her Instagram profile, Rebekah Taussig welcomes you into her world. 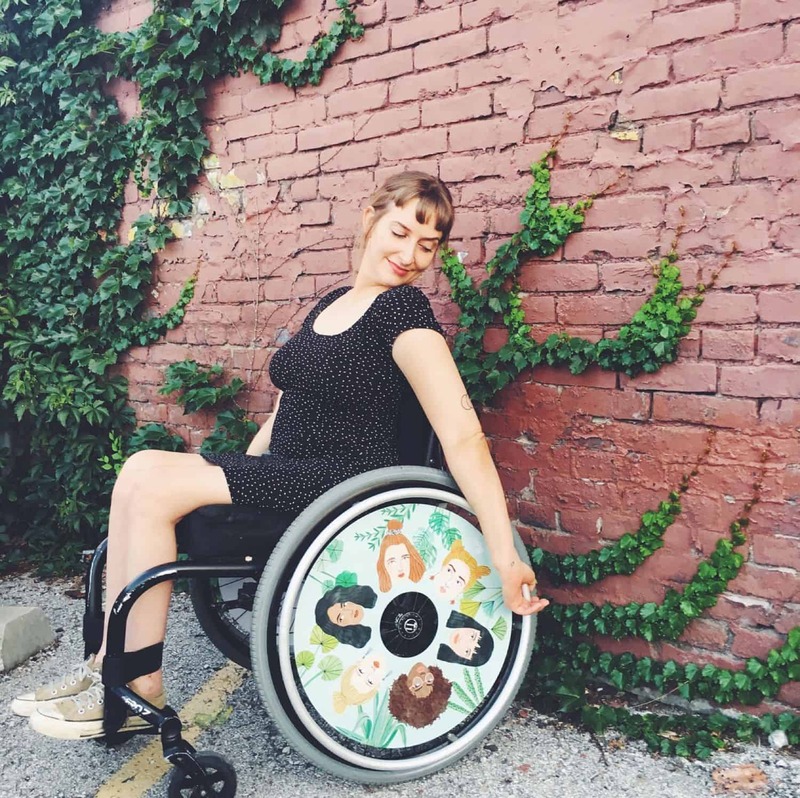 The self-described “writer, teacher, advocate, and human lady person” has amassed nearly 25,000 followers by sharing photos and mini-memoirs of her life – which happens to include a wheelchair. 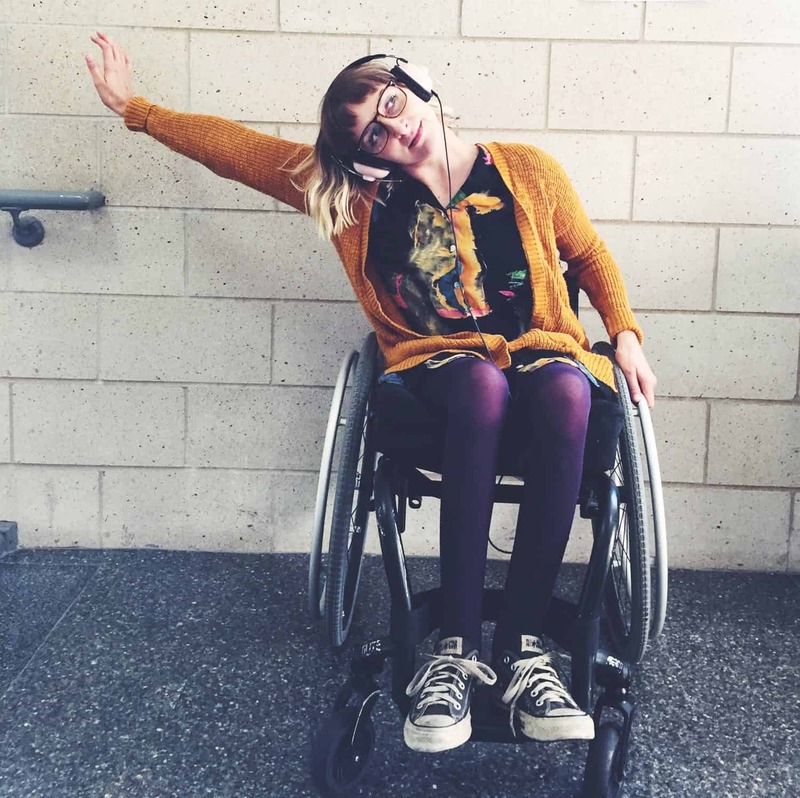 Rebekah Taussig holds a PhD in creative non-fiction and disability studies. She’s also the proud parent of two cranky orange cats. After Rebekah married her dream-guy, Micah, she shared a portrait of the two of them from their wedding day. She also shared a story of an earlier wedding – one she had at 22, that age at which we all feel like adults, yet can’t fathom what’s in store for us and how we’ll change. 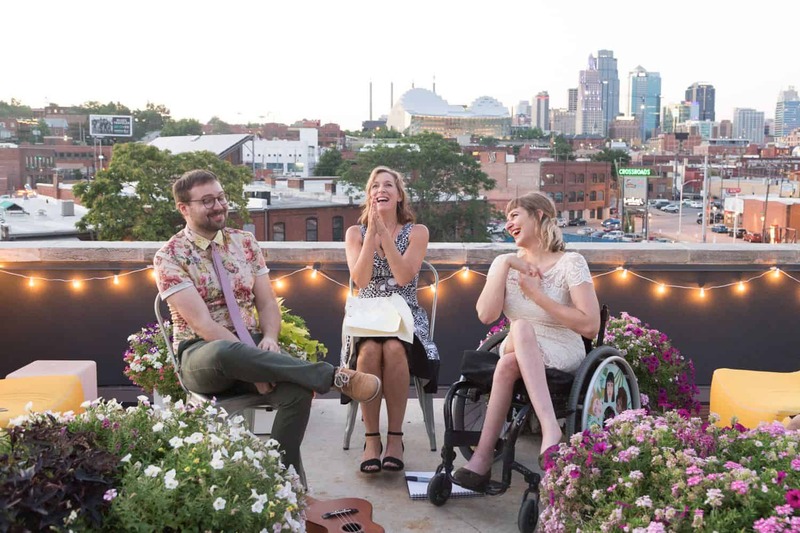 At that long-ago wedding, Rebekah’s photographer worked tirelessly to crop Rebekah’s wheelchair out of the photos, or replace it with a “regular” chair, or pose her in the grass with the wheelchair hidden behind a tree. “When I got the pictures back, I liked them fine,” Rebekah wrote. “This was what I wanted! But I couldn’t ignore the fact that these images didn’t look anything like the actual intimacy my then-partner and I shared. Lauren took Rebekah at her word, creating a series of photographs that evoked second chances, deep friendship, beautiful love, and a very full life. 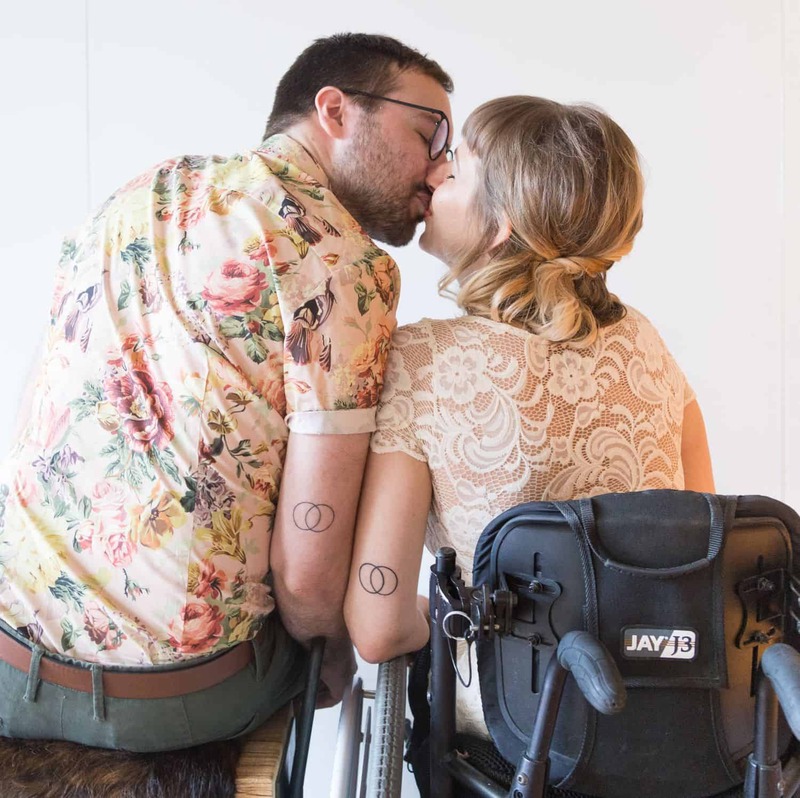 One of Rebekah’s Instagram followers felt differently, telling Rebekah how much she loved that her photographer had carefully excluded her wheelchair from her family photos. This prompted Rebekah to examine the complexities of representation and personal preference when photographing a client. This challenge is precisely what many photographers face when confronted with photographing people or scenarios that are unfamiliar. It’s one thing to set client expectations regarding your approach and style. But it’s another matter altogether to find out how your clients see themselves. 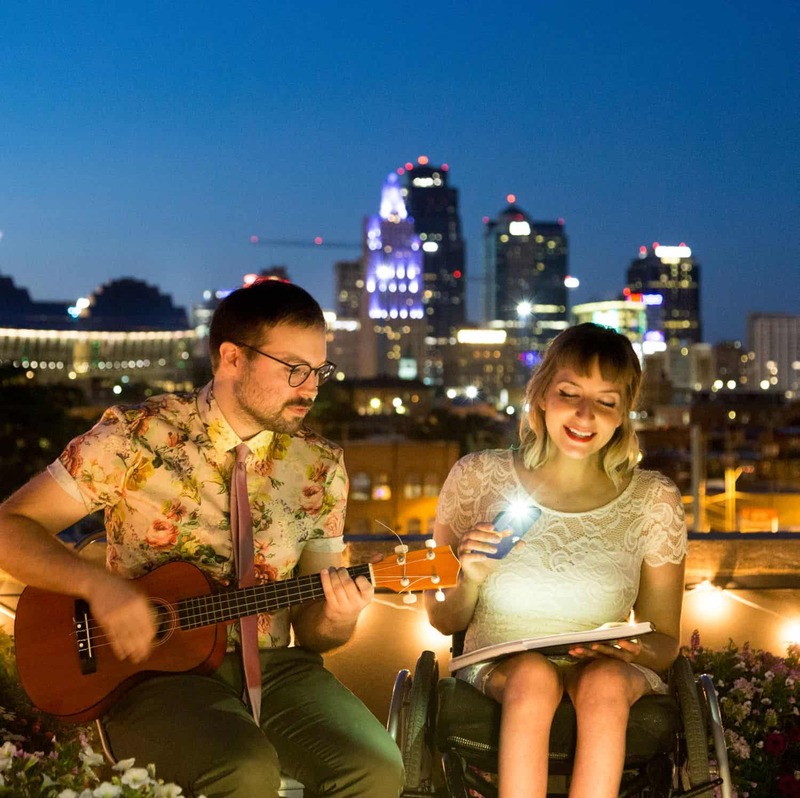 Conversations about image and presentation are relevant to all client relationships – even those that don’t include wheelchairs. Every single photography client arrives to their session with a vision of the final results. It’s our job, as client-based photographers, to get in touch with that vision. Use questions like those below to guide in-person dialogue. Don’t rely on written questionnaires. It’s deeply important that you hear your client’s voice and see their face as they share, so you can grasp the emotion behind their requests. We don’t always have the option to prepare for unfamiliar photography experiences. Perhaps you’re photographing a family you’ve never met before, or documenting a wedding in which one wedding party member stands out from the group. Before you find yourself flustered and uncertain, practice poses, arrangements, and perspectives that will flatter a wide variety of abilities, ages, and sizes. Despite what most marketing visuals would have us believe, the world isn’t comprised of one-size-fits-all humans. Choose to embrace the variety, and work toward images that celebrate our myriad, miraculous ways of connecting with the world around us. “The clunkiest experiences I’ve had with photographers have been as a bridesmaid. Once, a photographer posed the bridesmaids around the bride in a half-circle. But instead of letting me sit there in my wheelchair, she had me sit on the ground. It was so awkward. Ability is about more than legs that do or don’t walk. Think of the various clients you’ve had, and the ways in which you’ve addressed their unique photographic needs. You’ll photograph babies who must be held, elders who can’t walk or stand for very long, folks whose sensory processing style makes standing still or looking into the lens an overwhelming challenge. 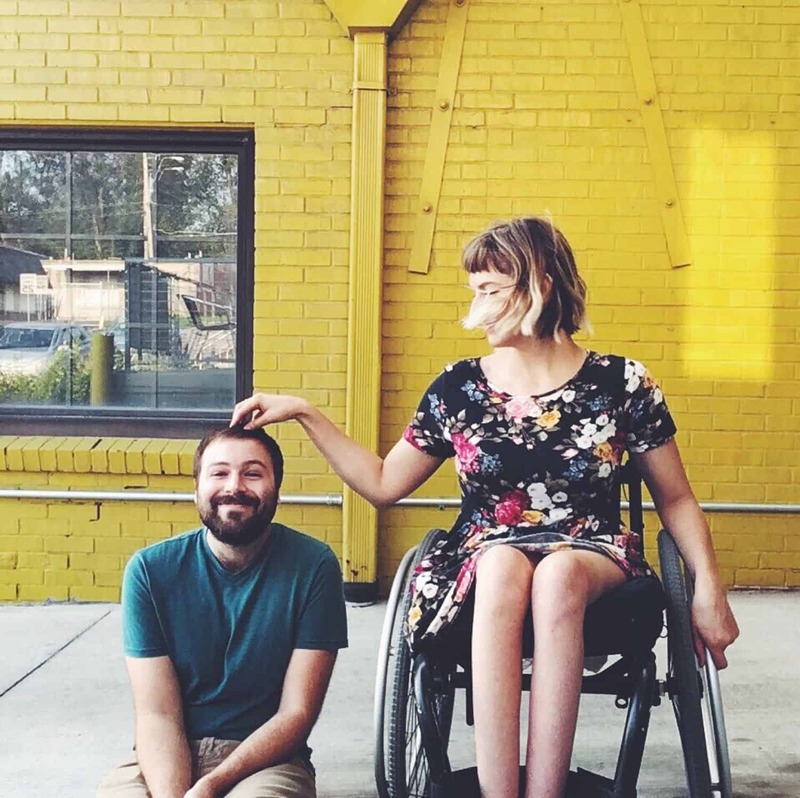 Along with our drastically different facial features, body shapes, and skin/eye/hair colors, our communities are also beautifully neurologically diverse. This neuro-diversity is what keeps the world spinning. Without it, we would have nothing but photographers, or zookeepers, or athletes, or (heaven forbid) lawyers. “We all have images in our minds of what something is supposed to look like. You’re supposed to walk down the aisle; you’re supposed to be a bride who stands upright in a full dress,” Rebekah acknowledges. “At my first wedding, I didn’t have any awareness of how I could be as a bride. “I was trying so hard to be the picture of a bride – the only picture of a bride I’ve ever seen. Slowly but surely, media is breaking trend and striving to photograph different representations of humanity. Teen Vogue published a series of covers featuring models with varying abilities, and models with Down Syndrome are being recruited by major brands to promote their products. 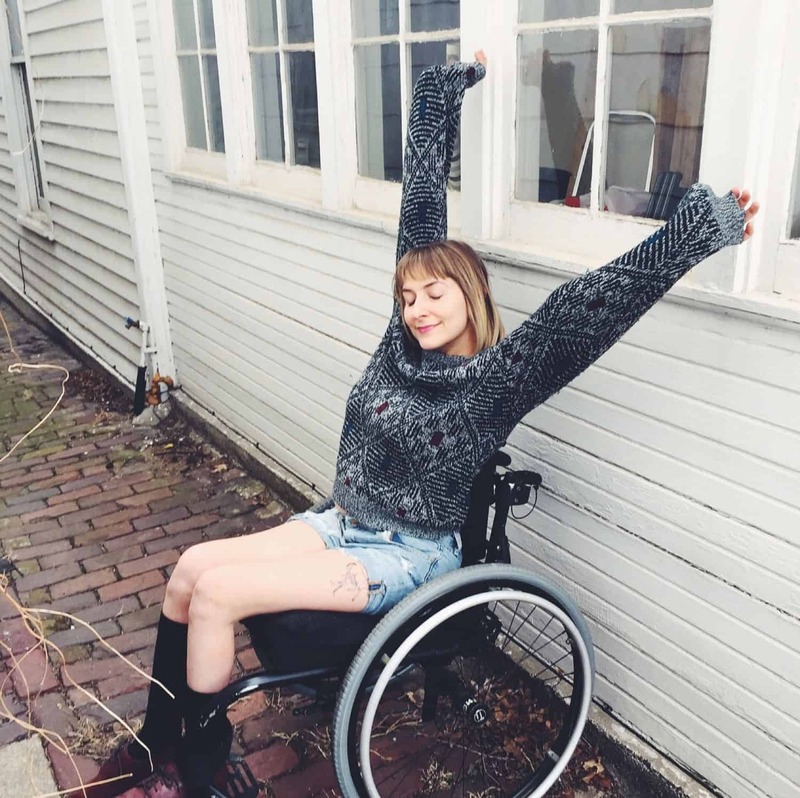 Photographs by Camila Falquez for Teen Vogue’s feature on models with disabilities. What’s especially thought-provoking about this visual media shift is how much emphasis we place on visible limitations, when the truth is: we all experience limitations. Most of them simply aren’t seen. 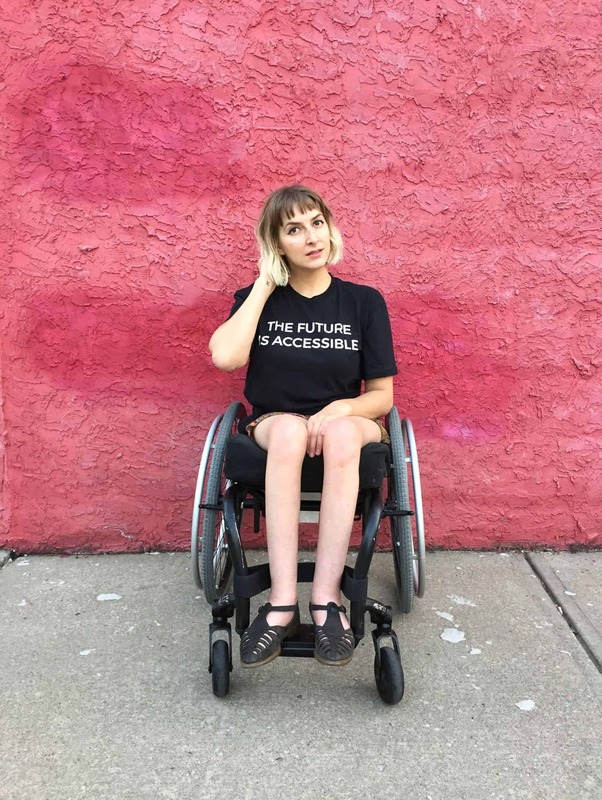 By recognizing that we’re all on a path of body-limited living, we open ourselves to creating a more inclusive world – a world designed and built for a full range of experiences. As we radically accept and honor our own limitations, it becomes easier to empathize and find beauty and power in the limitations of other. And who doesn’t want to photograph that story?